“The liberals are destroying America. If we don’t do something to stop them, everything this country stands for will be gone. They are passing unconstitutional laws. They hate the constitution. You love the constitution. That means they hate you. We have to stop them. We need to be armed and dangerous. We need to take back our country. If we lose in political fights, we can’t be discouraged. We have to reload. Reload, take aim, and target the areas where we need to win. And if working through the ballot box isn’t enough, we will have to consider second amendment remedies. Because they are taking away your freedom. You are already less free. We are at a turning point. We can’t afford to wait. If they aren’t stopped immediately, this entire country will become an oppressive socialist fascist state. It’s up to you, the people, to stop this illegal, immoral, unconstitutional liberal party. We need to hunt them down and destroy them…. metaphorically, of course. Every last liberal. Because liberals hate America. They are taking over the government and they want to take away your freedom. They want to take away your guns, too. 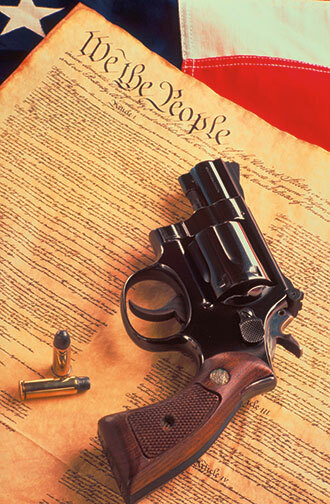 The founding fathers wanted to make sure you had guns in order to stop a tyrannical government. A tyrannical government like this one. The author of this statement is severely and orofoundly mentally ill.
It’s not a literal quotation from any single person–at least, not as whole. But each of the individual sentences is taken from things I’ve actually heard on conservative talk radio shows, such as Rush Limbaugh, Sean Hannity and Mark Levin. Even the most crazy sentences are things that they’ve actually said, at one point or another. All I’ve done is gather them together into one place. That’s not only true of the main quotation block, but the follow-up, as well: it’s infuriating to me to hear Mark Levin (just to take one example) literally say “Obama is a DANGER to us” and “we have to DO SOMETHING to make sure he is STOPPED”… and then after a shooting or terrible disaster, to hear him say, “I never advocated shooting anybody!” It’s crazy and sickening.